A new international trailer has been released this week for the upcoming and highly anticipated Rogue One A Star Wars Story which is set to launched on to cinemas worldwide on December 16th, 2016And one day earlier in the UK on December 15th. Rogue One: A Star Wars Story is directed by Gareth Edwards and has been written by Chris Weitz, Tony Gilroy, and Gary Whitta, from a story idea by visual effects supervisor John Knoll. The new Star Wars movie stars Felicity Jones, Diego Luna, Ben Mendelsohn, Donnie Yen, Mads Mikkelsen, Alan Tudyk, Jiang Wen and Forest Whitaker. 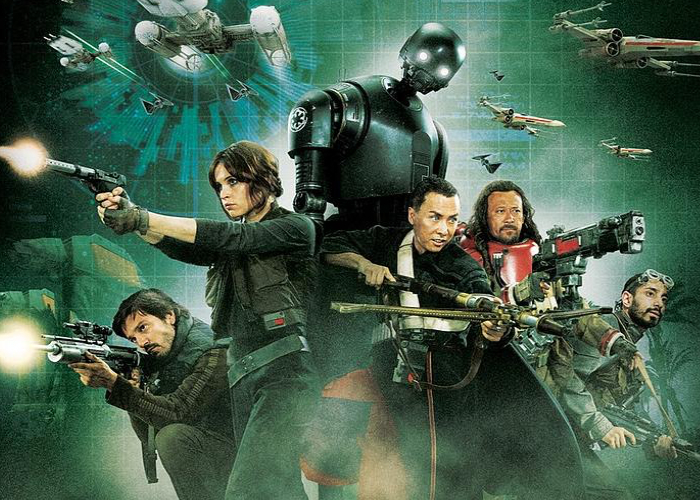 It will be the first stand-alone Star Wars Anthology film. Set in the Star Wars universe some time after the events of Star Wars: Episode III – Revenge of the Sith and shortly before the events of the original Star Wars, the story will center on a group of Rebel spies on a mission to steal the plans for the Galactic Empire’s new weapon, the Death Star.